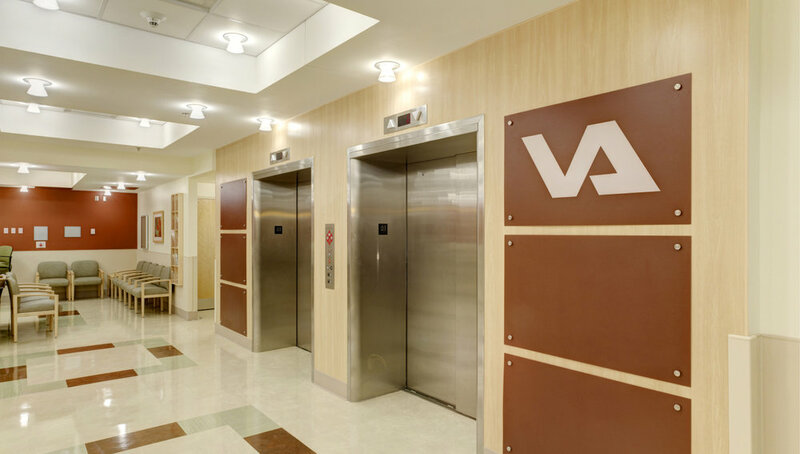 The renovation and expansion of the Syracuse VA Medical Center resolves internal circulation issues and most importantly provides the area with a new Spinal Cord Injury Center. Through the Department of Veterans Affairs’ National CARES program, the Syracuse VA Medical Center expanded its ambulatory care services. The new Department of Surgery includes seven new OR’s, 16 semi-private PACU areas, administrative areas, and all public areas. The addition also houses a number of other outpatient services including dialysis, endoscopy, and phlebotomy. The new structure skillfully maximizes the potential of the extremely constrained urban site and has been designed to accommodate future vertical expansion. 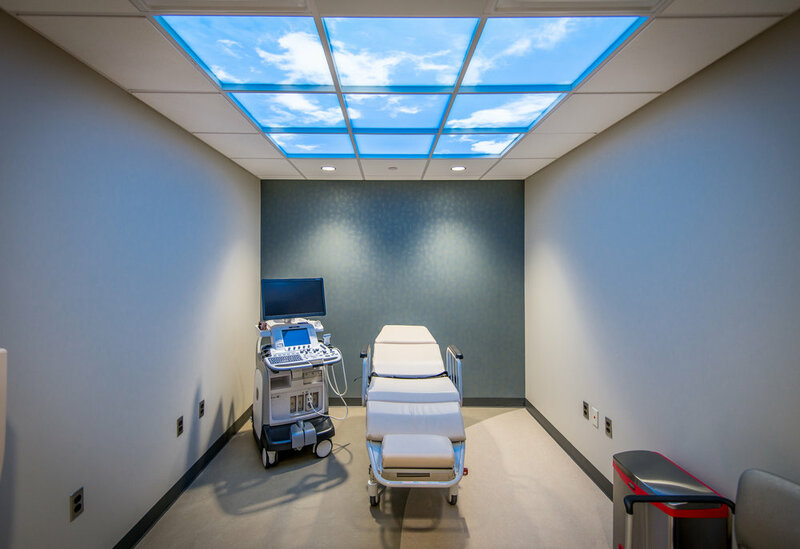 A critical component of the Syracuse VA Medical Center’s expansion and renovation project is the renovation and addition to its Spinal Cord Injury Center. 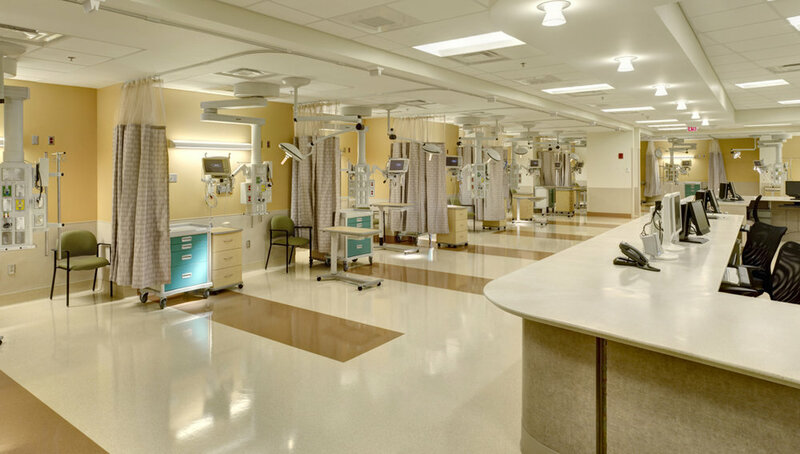 The new 30-bed facility will provide both inpatient and outpatient SCI rehabilitation services all on a single floor. 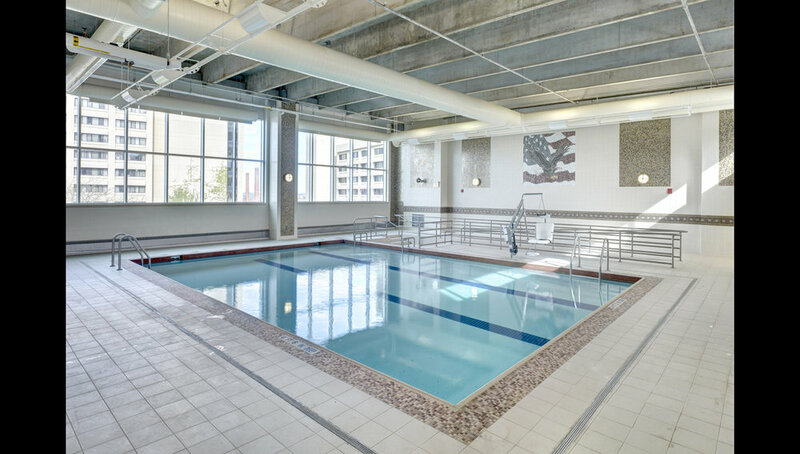 The project also includes a new therapy pool on the ground floor, a pedestrian bridge with direct access to an adjacent parking structure, and a rooftop therapy garden.